Like other integrations, you need to be an admin in order to enable the Base integration. This integration allows you to view, update, and create Base leads, contacts, and deals directly in Front. Log in to Front. Open your Front Settings and select Integrations. Choose Base from the list. 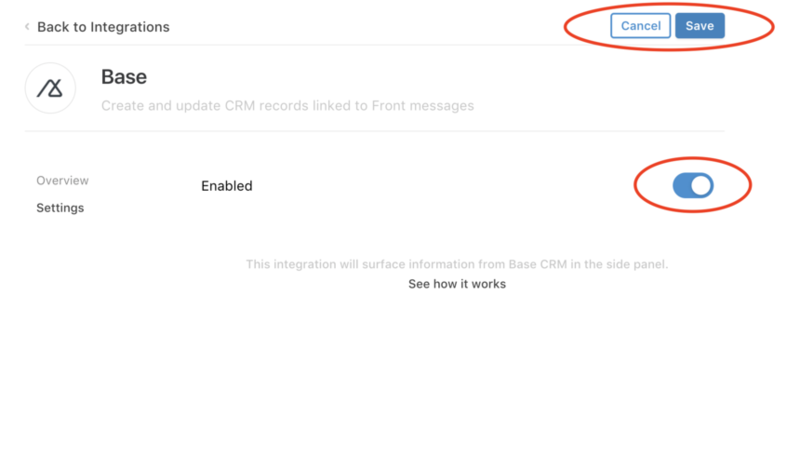 Click Enable Integration, then switch the toggle on to enable Base. Click Save. From any message, open the right pane by clicking on the arrow located on the top right corner of your Front inbox. Click Sign in. 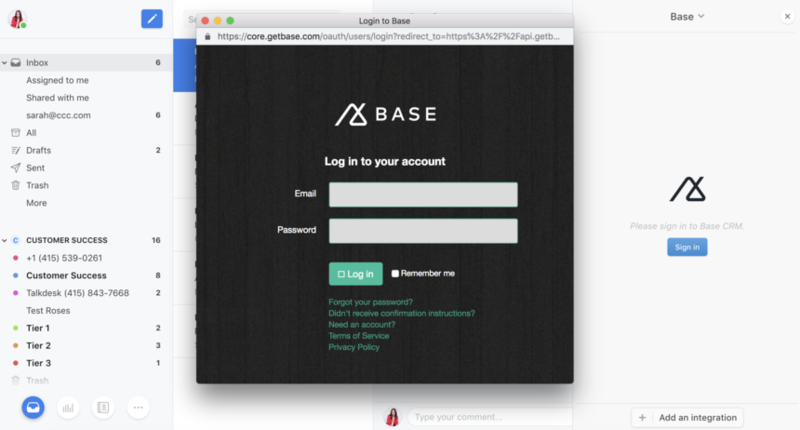 A window will pop up for you to enter your Base credentials and authorize the integration. 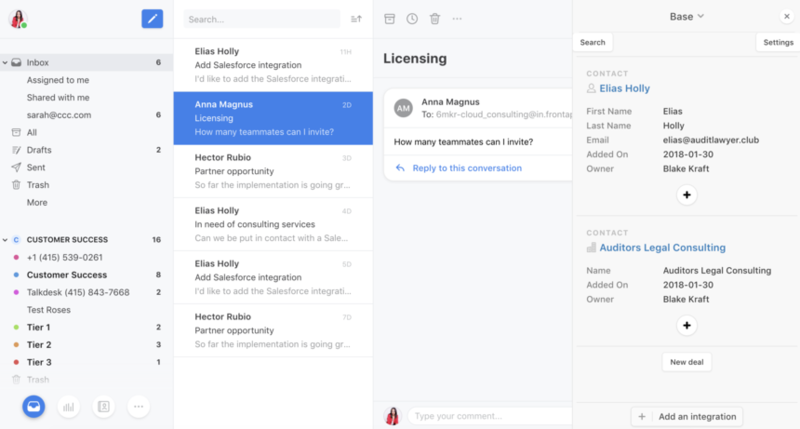 Everyone on your team will need to sign in to the integration with their own Base account. You can now display information about your leads, contacts, and deals directly in Front. If the email address for your message does not match an existing Base record, you’ll have the option to Create Lead or Create Contact. For any Front message, if there is a matching contact in Base, you will see contact information, status, and linked deals displayed. You can edit most fields by clicking on them, and click on the plus sign to display additional fields. For any lead or contact, you can use the New deal button to create new deals. To view details on any contact or lead, click on Search at the top left corner. Log out of your Base account through Settings.